Build your ramen rep by fashioning the ultimate bowl from a vast assortment of noodles, soup, and toppings. From roast pork to miso, mackerel, and more--the only limit is your imagination, meaning you'll need to use your noodle to nail the right recipes and bring hungry customers in by the crowd! Enter contests and see how you size up against rivals, thus cementing your standing as superlative sensei of the savory! 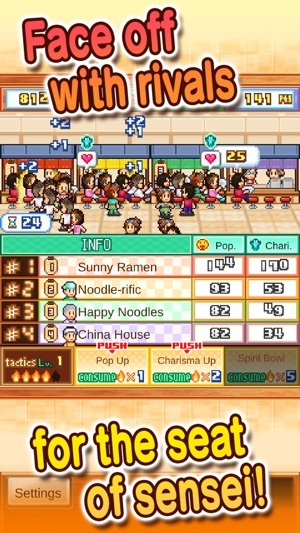 Succeed--and one day you might even have your own ramen theme park! 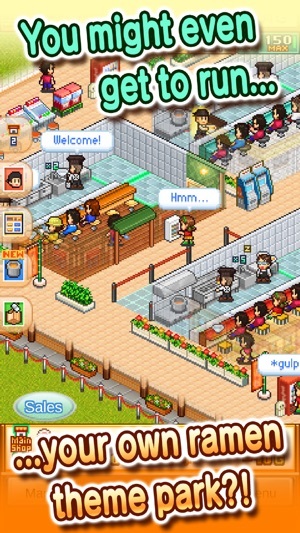 Try searching for "Kairosoft" to see all of our games, or visit us at http://kaipa.jp. Be sure to check out the wildly popular Game Dev Story for your mobile device or PC as well as our collection of FREE games! 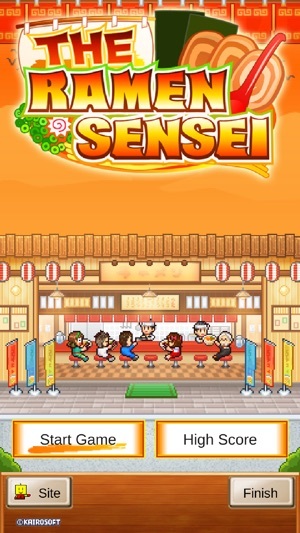 Due to the game being rough around the edges, I have a feeling that this game is actually one Kairosoft made early on, as in, it may have been one of the first ones they made back when they made games for flip-phones in Japan. It's enjoyable, but definitely not one of their best. I'd only recommend it to huge Kairosoft fans. The music seems really out of place (more akin to what you'd hear in a low budget JRPG than a Simulation game); it's too hyper/active to match the game's atmosphere. The animations are all a bit rough and awkward too. There also seems to be some awkward laggy loading screens here and there, but only for a second or two. With that being said, the game still is overall enjoyable if you are a big Kairosoft fan. 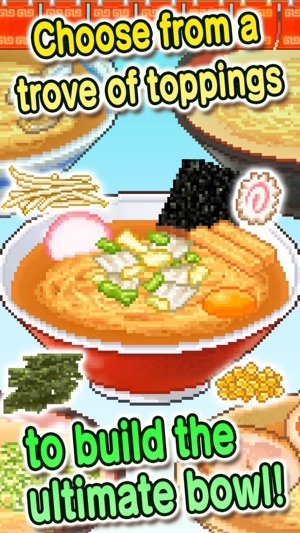 Making all the various ramens and finding the best combos has all the same charm as it does in Game Dev story, Magazine Mougal, etc. There's the same Kairosoft charm present overall as well, and all the little knacks of leveling up your staff and your own skills does make it a game that you can sink a lot of time into. 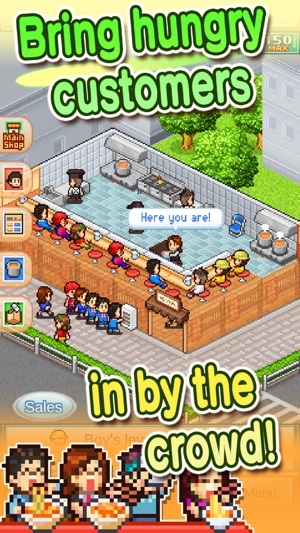 already super addictive saw this on the App Store and instantly downloaded so happy kairosoft is back with a new game! and my favorite RAMEN!! !